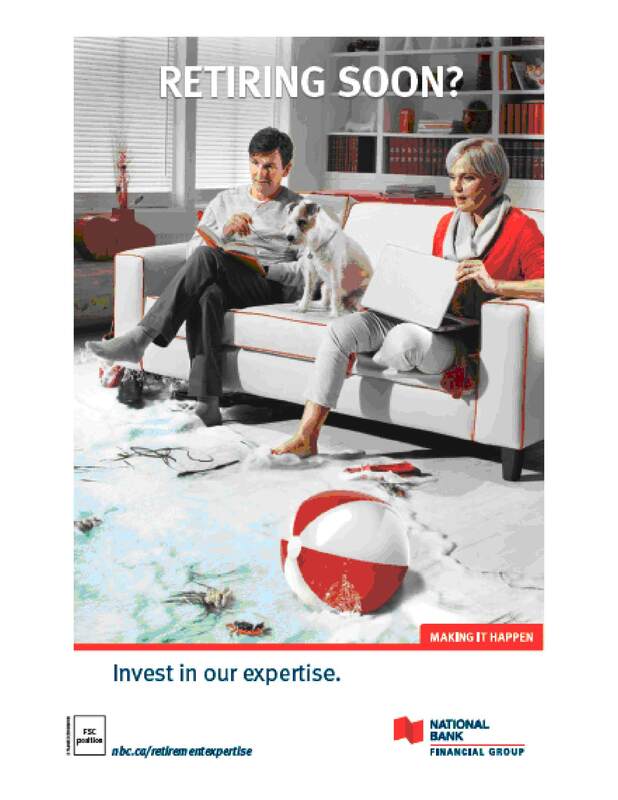 National Bank Financial Group has just launched an advertising campaign to highlight the importance of sound asset management when nearing retirement. This campaign, developed with the Bos advertising agency, will encourage people to meet with a National Bank Financial Group investment expert to review their savings and investment portfolios. "The closer people get to retirement, the more important it is for them to obtain simple, practical financial advice to help them face their new obligations and situation. These days, retirement can last a long time. It is therefore essential to have a consolidated overview of all available assets," said Patrice Delisle, Manager – Retirement Strategies, Wealth Management at National Bank Financial Group. The concept of the MAKING IT HAPPEN ad campaign, initially launched in January 2009 under the name "AND ACTION! ", has evolved: the narrator now comes to life and assists the protagonists in each televised segment. The campaign has been very well received. It has helped us build on our assets and clearly illustrates the Financial Group's relationship with its clients and its role in their lives," said Hugo Léger, Vice-President and Creative Director at Bos. The campaign will continue for seven weeks. In addition to the 30-second television ads, it will include ads in print media, on the main Quebec Internet portals and throughout the entire branch network. National Bank of Canada is an integrated group that provides comprehensive financial services to consumers, small and medium-sized enterprises and large corporations in its core market, while offering specialized services to its clients elsewhere in the world. National Bank offers a full array of banking services, including retail, corporate and investment banking. It is an active player on international capital markets and, through its subsidiaries, is involved in securities brokerage, insurance and wealth management as well as mutual fund and retirement plan management. National Bank has over $146 billion in assets and, together with its subsidiaries, employs 18,438 people. The Bank's securities are listed on the Toronto Stock Exchange (TSX:NA). For more information, visit the Bank's website at www.nbc.ca.